With fast bullet trains, a huge subway network, a truly chaotic rush hour, areas of concrete jungle, historic temples, the Imperial Palace and many enormous shopping arcades, Tokyo has everything that you would expect in a leading Japanese city, and plenty more besides. Tokyo, the capital of Japan with a mind boggling population of over 12 million, is well known for its bustling atmosphere and neon lights. Despite its number of residents and lack of space, Tokyo is one of the safest and hospitable cities in the world with a very low crime rate and a real sense of community and willingness to welcome and assist visitors. The main airport at Narita has superb connections with cities all over the world and is served by all of the major airlines. Japan boasts the world’s second largest economy as well as being the centre for many well-known multinational companies so Tokyo is an important destination for business travellers as well as tourists. If you prefer to travel on direct flights to Tokyo from the UK, there are several airlines which fit the bill including Japan Airlines, British Airways and Virgin Atlantic. Low cost flights can often be found if you fly indirectly with a transit or plane change on the way. Tokyo is one of the world’s trend-setting hotspots – all the latest designer gear, hi-tech gadgets and technology can be found here. Peruse the menus and marvel at the huge choice of restaurants serving a myriad of cuisines and sample some cocktails in the hippest bars and trendiest clubs. Shopping is a favourite pastime of the Japanese, all of the top-end designers have boutiques and shops in Tokyo and the Japanese passion for vending machines means that shopping is really a 24/7 pursuit. The city of Tokyo is an urban sprawl of tightly packed buildings; however the back streets are more typical of the rest of Japan with timber houses lining the narrow streets. Tokyo is full of cultural treasures and experiences, some of the most poplar attractions include the famous Meiji Shrine dedicated to the Emperor Meiji set in acres of beautiful grounds, the Asakusa Kannon Temple – Tokyo’s oldest Buddhist temple and the Imperial Palace with its stunning gardens. 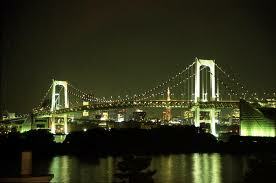 We recommend you book in advance to find the cheapest flights to Tokyo, Japan. Give our flight comparison search a try for the best deals on cheap flights to Tokyo and thousands of destinations all over the world as well as finding you the most competitive prices on lastminute flights. The former city of Tokyo and the majority of mainland Tokyo lie in the humid subtropical climate zone, with hot humid summers and generally mild winters with cool spells. The region, like much of Japan, experiences a one-month seasonal lag, with the warmest month being August, which averages 27.5 °C, and the coolest month being January, averaging 6.0 °C. Annual rainfall averages nearly 1,530 millimetres (60.2 in), with a wetter summer and a drier winter. Snowfall is sporadic, but does occur almost annually. Tokyo also often sees typhoons each year, though few are strong.